New York, April 14, 2014 -- /EPR NETWORK/ -- It's never too late to improve your relationship by learning the language of marriage; by recognizing your feelings and turning ... emotions and processes into positive ones. AMAZING BOOK!!! Lingo Your Marriage is a method of concise communication that transforms negative and pointless arguments into positive and meaningful discussions! 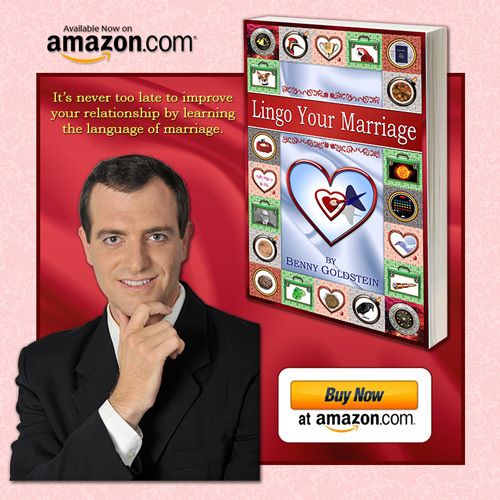 Lingo Your Marriage is based on the method we’ve been employing in our marriages, having studied many books on psychology as well as the works of the giants, Freud and Jung. We have listened to many relationship gurus, from Dr. Gray to Dr. Phil. Although each expert had lots to offer, we felt that something was missing. There had to be an easier way; some method of narrowing down all those repetitive and rehashed feelings to resolve things more quickly, perhaps even in one word! Lingo Your Marriage is the method and process of concise and precise communication that undoes all the drama and trauma.